Researchers from the University of Toronto's outstanding Citizen Lab (previously) have published their latest research on the notorious and prolific Israeli cyber-arms-dealer The NSO Group (previously), one of the world's go-to suppliers for tools used by despots to spy on dissidents and opposition figures, often as a prelude to their imprisonment, torture and murder. 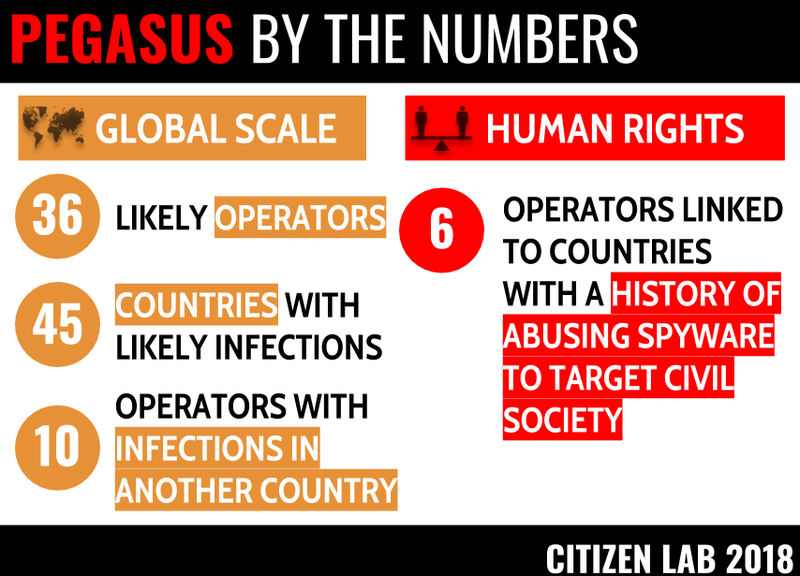 In today's report, HIDE AND SEEK, Citizen Lab's researchers identify traces of NSO surveillance technology in use in 45 countries -- though some of these may be countries where victims of NSO surveillance have traveled to after being infected in another country. Included in the list of countries where NSO software is operated are some of the world's most notorious autocracies, states where governments have shameful human rights records. The evidence suggests that NSO has customers in states where trade with Israeli companies is banned, like Bahrain and the UAE.